Think having a custom app for your business is beyond your reach? 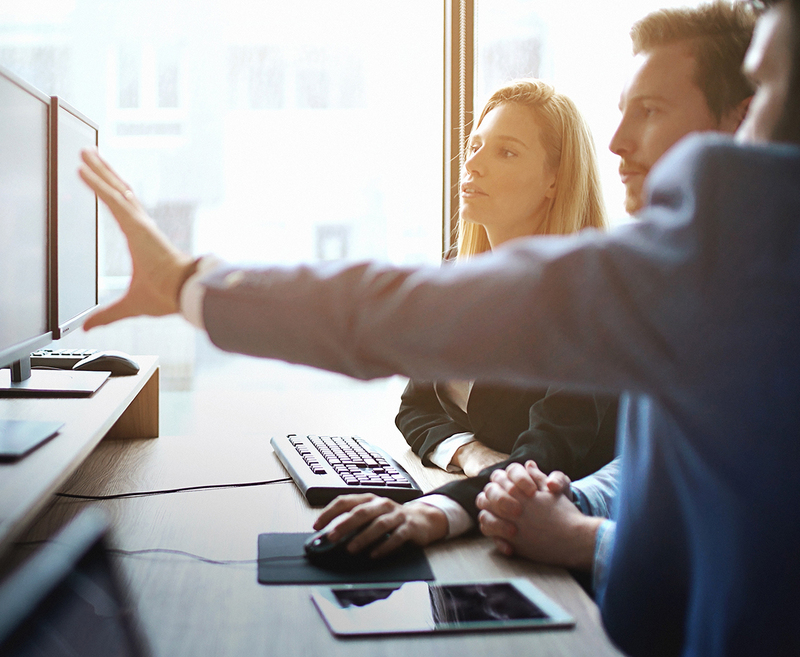 Whether you’re a startup, small business, or large corporation, working with an IT team to develop custom software for your business is more accessible than ever – and more affordable. One great example of the utility of custom software for your brand growth is in having a mobile app. Specifically, if you are doing business in New Jersey or New York, TNTMAX wants you to know just how attainable it is to have your own app. Here are 4 ways a mobile app could take your business to the next level – along with a few industry examples of utilizing this custom software development concept. 1. Your brand becomes omnipresent. On average people look at their phones over 80 times a day. We spend roughly two hours a day staring at our screens: searching, reading or scrolling. Those are significant numbers when it comes to your marketing strategy. Your team may have clocked out for the day, but your custom app is marketing your business for you around-the-clock. Your brand is imprinted subconsciously (and consciously, depending on how engaging your app is!) on every viewer. Merely having your company app on their phone means that on some level, you’re always on their mind. 2. You’re just a tap away – 24/7 customer service. When a customer wants to reach you, chances are good they’ll head for your app first. While your website may remain the number one point of contact for customers, a great mobile app could easily take its place for immediate customer service. Consumers don’t want to waste time searching your whole site for the information they need. 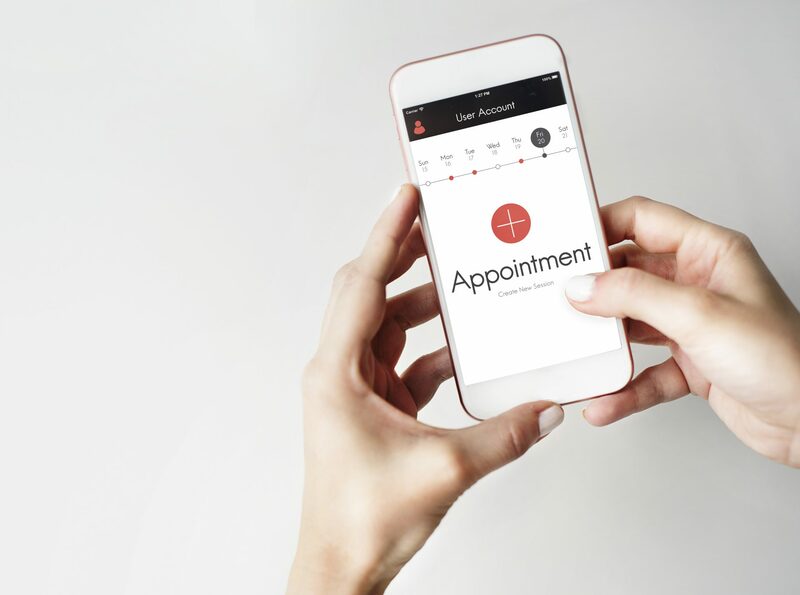 A user-friendly mobile app serves as a great hub for concise information, immediate contact, and 24/7 appointment booking. With a few taps of their finger, your customer can have access to the most pertinent information from your site. TNTMAX creates custom software development NJ businesses know they can rely on to be there when the customers need them the most. Whether taking the subway to work, sitting in traffic or hanging out at home, we absent-mindedly turn to our phone as an escape from boredom. Just imagine how significant it would be to your marketing campaign if your customers came across your app as they’re scrolling. Marketing experts say it takes at least 7 “touches” (various levels of engagement) with a potential customer to convert them to a buyer. Having a useful app would ensure that you’re reaching those consumers several times a week – even several times per day if your app is engaging enough. You’ve now become more than just another company marketing to the masses; you’re speaking directly to your target audience. Your app can create a genuine connection. Even after closing the sale and gaining a new client, keeping your presence in their feed is a great retention technique. With an engaging app, you offer continued customer service, a reminder of the stellar product/service you gave them, and a way to provide updates and promotions. If you’re looking for custom software development in NJ, look no further than TNTMAX. 4. Trash the punch-style rewards cards. Reward points programs are fantastic for creating brand loyalty. Every time your customer uses the program, they know they’re one step closer to cashing in reward points. Watching those points add up is a gratifying experience in its own right. However, long gone are the days of punch-style rewards cards. Keeping track of those punch cards is a total hassle, and they often end up torn, crumpled in the bottom of a purse, or lost in the rinse cycle. Having a custom app makes racking up those loyalty points a breeze. By using an app instead, your customer is much more likely to use your loyalty program; their phone is always on hand. With the ability to see the number of points they have and actually redeem them, you’ve made it that much easier for your customers to come back again and again. Plus, your app is a great point of constant contact to provide information about new products and promotions; make it easy for shoppers to find an excuse to cash in their rewards points. If you’re a business in Bergen County, contact TNTMAX for custom software development in NJ to take your reward program into the digital age. 5. Your brand will stand out from the sea of competitors. Making your brand a household name is the goal of every company, and having an app potentially does just that. By creating an app for your company, you’ve elevated your company’s status in the mind of your customer. You’re no longer that small coffee shop they pass on the street or just one hotel in a list of options. You’ve become an individual in your industry. When your logo is displayed prominently in a stand-alone app, customers get a sense of legitimacy that ranks your brand above the others in your industry. The staff at TNTMAX has been creating custom software development in NJ for over two decades. Our team of IT experts loves helping companies just like yours get noticed. Wondering if an app is right for you? Not sure what your company could do with a custom mobile app? Here are a few industry examples to rev your creative juices and demonstrate just how an app can dramatically increase the potential of your business. If your industry involves dining, travel accommodations, travel or vacationing in general, an app is essential for expending your audience reach in 2018. With the addition of an app to your company, current and future clients can book a reservation, pay for the service, and browse all your offers without the ever visiting a search engine. On top of that, they can browse photos from previous visitors and read comments instantly. Word of mouth is compelling, and harnessing that power in an app amplifies it on a world-wide scale. Being able to deliver immediate top-notch customer service through an app shows your customer you’re serious about making them a top priority. No one likes to fill out paperwork, but paperwork is a critical component to any business in the healthcare industry: clinics, aestheticians, dentists, optometrists, even tanning salons. Aside from being an environmental drain, it’s inconvenient and time-consuming. With an app from TNTMAX, the shuffle of paperwork, clipboards, and chain pens is over. Patients can easily access intake forms any time it’s most convenient for them and enter their data digitally. Not only is it easier on them, but it also makes the staff’s job easier too. TNTMAX offers custom software development for NJ healthcare businesses, which includes developing a mobile app, a web portal for your website, or creating a cloud-based workflow module. No more struggling to read a client’s handwriting or chancing misplaced paperwork. Even the most seasoned real estate agent can’t be everywhere at once. Let an app be your partner. Aside from being a great tool to show prospective buyers current listings, you can alert them to new ones that meet their requirements. While you’re out with your latest client, the app is working hard to find what your future client needs. Mailing bulky paperwork for a signature is a thing of the past. With an app, your customer can simply sign in, review the documents and even give a digital signature. If they have any questions, a chat feature on the app can put them in touch with you instantly. The real estate market is cutthroat; give your company a competitive edge with a custom app from TNTMAX. Dealing with money, especially banking and loans can be stressful. Having a user-friendly app can significantly reduce that stress. Personal finance apps are a great way to keep your customers signing in regularly to check accounts, shift money, and realize the variety of other services your company could take care of at the same time. For example, no one really enjoys sitting in a bank office, dealing with the loan application process. Having an app customized to your financial institution means that your customers can effortlessly apply for loans, see your rates and sign paperwork from the comfort of their home. While on your app, they can also check their banking transactions and find answers to common questions that might otherwise require a call or visit. As a financial institution, you want your customers to know their money is safe with you, what better way than giving them 24/7 secure access. They can check on their finances, make transfers and even receive alerts instantly if there’s an issue. Show your customers you truly care with an app to ease their financial woes. Employee training for your first job probably meant showing up on a set Orientation Day, sitting in a room with other new employees staring at a television screen. Your children, on the other hand, will probably not even know what “Orientation Day” means. That’s because with more than 50% of the workforce raised on technology, job training has evolved to include apps. With the use of apps, your employees can train when it’s convenient for them – and in shorter segments. Easily accessible and more concise training increases the likelihood that your employee will retain the information. Some apps are even designed to test an employee’s knowledge of the lesson by playing a game afterward. If you require your employees to have continuous training, an app is a great way to help your entire staff stay on top of their training. An alert can help keep your employees up-to-date on policy changes and ensure your team receives proper training material. While an app can’t wholly replace in-house training, it can reduce the amount of time set aside for training. Rather than having a senior employee take time out to supervise a group while they watch a video or presentation, those lessons can be taught virtually. Having an app available for training saves your company money and lets your future employees know that you want them to learn in the best environment for them. Having an app also enables an employee to review any training they may be unclear about and be able to come to you with specific questions. Custom software development in NJ with TNTMAX can light the way to a brighter future for your company. Don’t be left in the dark, contact TNTMAX today.